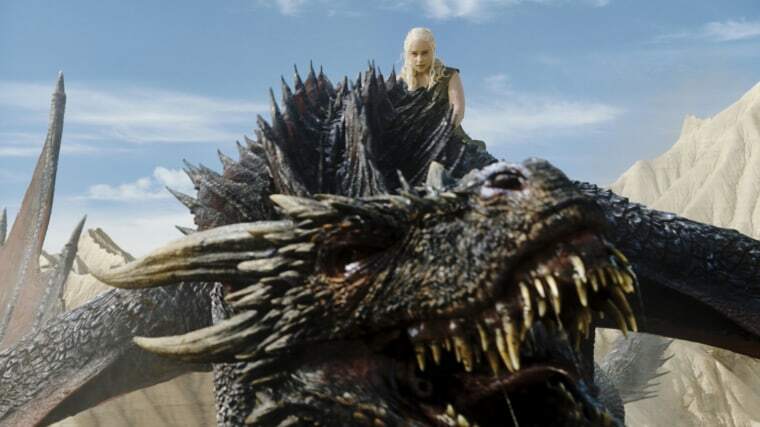 In 'Game of Thrones,' Daenerys Targaryen taught Jon Snow not to fear dragons. You can learn not to fear snakes. Once you understand a creature, it makes no difference if that animal is soft and cuddly, or if it sports scales and a split tongue. The long-awaited final season of "Game of Thrones" is just days away and fan theories are flying. Is Cersei actually pregnant? Is Littlefinger alive? Can we officially 'ship Brienne and Tormund? But there’s one plot point that clearly cannot be debated: Daenerys is going to love her dragons. The massive, fire-breathing flying reptiles are petrifying to her adversaries but fierce protectors of her, the mother who raised them from eggs. Named after her late husband and brothers, the dragons are Dany’s family — and her guarantee of a powerful future. That’s a sentiment to which every entomologist, herpetologist and icky-animal lover can relate: "-ologists" the world over empathize with Dany’s love of the unlovable. Once you understand a creature, its behaviors and unique contributions to our shared world, it makes no difference if that animal is small, soft and cuddly, or if it sports scales and a split tongue. They are just as appreciated and and here’s the thing: You can learn to love them, too. But, while people who study bugs and reptiles naturally enjoy sharing their passion with audiences, those animals and the people who love them are disproportionately met with fear, disgust and downright rudeness. The science behind our phobias of creepy-crawlies doesn’t seem set in stone; it’s still being debated whether fear of these animals is learned or innate. However, it is clear that, in part, children learn from their parents and mimic their behaviors. When a parent acts scared, the child will be, too. How do I know? As an Education Specialist for the Arizona-Sonora Desert Museum, I’ve had the privilege of guiding hundreds of children through meeting a snake up close for the first time. Some are cautious, while some are excited. There was one young girl, for instance, whose body language initially displayed nervousness: Her shoulders were scrunched up, arms bent at the elbow, as she slowly reached forward — not unlike Jon Snow nervously extending his hand toward Drogon. But she touched it and, when I asked what it felt like, she said, “Like an ear of corn." Her explanation was spot-on in a way I’d never been able to verbalize in my decade of teaching: An ear of corn, smooth, pebbled and room temperature. Her description was perfect, but what was most memorable to me was her smile. Her hesitancy changed at first touch to surprise and grins. She unfurled like a flower blooming as her fear wore off and her curiosity grew. Another girl whispered in my ear “I love snakes.” It touched me, but I couldn’t help but wonder why that was a secret? Our fear, which is broadly undeserved, is a problem for snakes (as well as other reptiles who can also inspire fear and loathing). Snakes are necessary predators in an ecosystem: Not only are they effective forms of rodent control, they also eat eggs, frogs, lizards, insects, other snakes, rabbits, tadpoles, birds and even crustaceans. A healthy ecosystem has snakes keeping those animal populations in check. Furthermore, snakes can become snacks for other animals, providing necessary nutrients for opportunistic hunters. Roadrunners, raptors, coyotes, bobcats, foxes, raccoons, badgers and even vultures (if they see them already dead) enjoy snake snacks. And snakes are impressive seed dispersers: Rodents who have eaten seeds fall prey to snakes and the seeds, undisturbed by the gastrointestinal tract of a carnivore, can pass through unharmed and deposited. The seeds are then also ensconced in little fertilizer packets, which helps the plants germinate far from their original location. What snakes aren’t are sneaky predators trying to hunt down humans; they’re actually shy, reclusive loners looking for a little empathy. Many a gardener and hiker has been in the vicinity of a snake that never even advertised its presence. Snakes are actually wary of all large mammals and prefer to stay in camouflaged coils. It isn’t until a snake is approached by a scary creature — like a hawk or a human with a shovel — that they will defend themselves. If your life was threatened, wouldn't you fight back? Humans, though, are dangerous threats to snakes: Even one inadvertent step on a snake's back can break ribs and destroy vital organs, which is why they don’t invite attention. Remember that a reptile fear is potentially learned and, even if animals that shed their skin make your skin crawl, try not to pass on the phobia. It’s okay for children — especially girls — to be curious about nature, to study fascinating fauna and yes, to even whisper their interests in reptiles. Adults should model positive behavior by encouraging kids' interest and learning together about these captivating creatures. They’re not beasts, and they’re not terrifying, so don't tell kids that they are. The ecosystem, your budding herpetologist and the Mother of Dragons will thank you. Catherine Bartlett is an education specialist at the Arizona-Sonora Desert Museum, a nonprofit focused on conservation, science, and inspiring others to live in harmony with the natural world. She is a 2018-2019 Tucson Public Voices Fellow with The OpEd Project.